The first round of France’s regional elections took place on December 6, and the far-right Front National finished first, with 28% of the vote. After the second round of voting on December 13, it could well win control of a number of regions, though its historically anti-regional ideology raises questions about how it might govern. Could the FN be on the verge of taking power in the 2017 national and elections? A look at past elections seems to indicate otherwise. 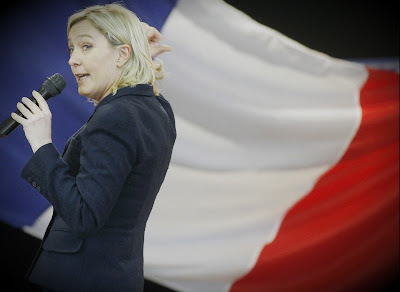 The March 2015 elections for France’s departments – similar to counties, and charged with issues such as local transportation, primary education, and some social services – revealed the strategic impasse in which Marine Le Pen’s party has found itself. The FN has long cultivated an image of standing alone in the political landscape, yet its lack of allies has proved extremely costly. Most striking is the immense gulf between its score in the first round of the departmental election and the number of candidates elected after the second. The FN received a total of 5,141,897 votes – or 25.24% of the total – and came out on top in 320 districts out of 2,054. It managed to qualify for the second round in 1,107 districts, yet only 62 of its candidates actually won, and the party took control of exactly zero departments. Why? Because the party stood alone. After leading in the first round, it lost more than 97% of the head-to-head contests and three-way races in the second round. The Front National appears a victim of what in France is called “communist party syndrome”. This syndrome describes what can stop a party that has become a major political force from actually taking power. 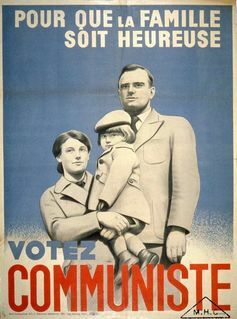 Indeed, the FN bears some resemblance to the French Communist Party (PCF) at its height. The PCF racked up remarkable electoral results for more than three decades – from the end of World War II until the early 1970s – gathering between 20% and 25% of the vote, yet never won the presidency or an outright majority in the Assembly. Today the FN has two options: either it makes electoral alliances with other political parties in the hope of building a majority, and risk of losing its independence. Or it doubles down on its traditional stance, as the PCF did between 1947 and 1958, and risk condemning itself to never become a ruling party. The FN’s main problem is that it has no potential allies of any significance. On December 7, Nicolas Sarkozy, former president and head of the centre-right Les Républicains (LR), reaffirmed that he would refuse any potential alliances with Marine Le Pen’s party. During its glory days, the PCF twice had the opportunity to make political alliances with the non-Communist left and gain power. The first was in 1962, with Guy Mollet of the French Section of the Workers' International (SFIO) party. The second took place in 1972, when the PCF ended up being left in the cold after François Mitterrand of the Socialist Party built an alliance with the radical left. Never in its history was the PCF able to govern alone, even when it was the “first party of France” (something Marine Le Pen never tires of asserting for the FN). Between 1945 and 1956 (except 1951) the PCF had the greatest number of seats in the National Assembly of any party, helped by the proportional voting system of the time, yet its leaders only managed to be part of coalition governments in which they were minority partners. Only this pragmatism enabled the communists to take part in the national government during the 1945-1947 and 1981-1984 periods. Since its founding, the Front National has always excluded the idea of using revolutionary means to take power. It’s thus committed to having to earn majority votes to gain power. Only in this way can it win the presidential and legislative elections, and thus be able to set the law of the land. Can the FN win the presidential election in 2017? It’s a long shot, but let’s consider the possibility. After, what would happen? The party would have to win majority in the assembly, yet it currently holds only two seats out of 577 total. So how can it hope to go from 2 to 289 deputies (the minimum required for an absolute majority) without entering into an alliance with another major party (most likely Les Républicains)? This has never happened in French political history. Winning 20%, 25% or even 30% of the vote in the first round of parliamentary elections isn’t enough to gain power. Despite such impressive scores, the FN could end up with just a handful of deputies, as the PCF did in 1958. With a new majority voting system in place, the PCF kept only ten seats of the 150 it had held previously, despite winning 19% of the vote. The problem would arise in the same way even if France returned to proportional representation: with 25% of the vote, the FN could certainly have 150 deputies in the Assembly, making it a force to be reckoned with, but it would still be unable to govern alone. Lacking allies in majority, the FN could remain stuck in opposition. Despite repeated successes, it appears that the Front National is not yet on the threshold of power. As long as it maintains its posture of “one against all” and the major political parties refuse any alliances, the reins of power are likely to remain out of its reach.